The fundraising effort by the Pagan community for the survivors of the earthquake and tsunami in Japan heads into its final push this weekend. The goal is set at $30,000 and as of press time, $28,631 has been raised since the effort began on the 14th of March. 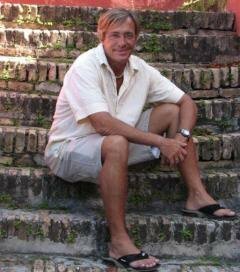 Peter Dybing, First Officer of Covenant of the Goddess, has set up a fundraising page to gather donations from Pagans to send to Doctors Without Borders to aid survivors in Japan. This organization has teams on the ground in Japan and is setting up medical treatment centers. Not only is giving to a charity such as Doctors Without Borders in line with Pagan ethics, it’s a way for Pagans to donate as Pagans and be recognized as such. Several well known Pagans have joined Dybing in this effort and echo this sentiment. 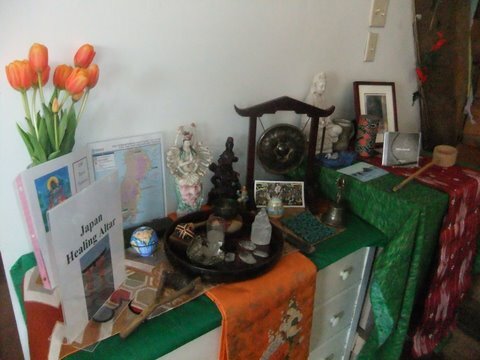 Circle Sanctuary Community created a Healing for Japan altar. On Friday, as I watched the news and saw the damage caused by the earthquake in Japan and tsunami that swept the Pacific, I began to reach out to Pagan charities and get as much information as possible on the best way to help the Japanese people rescue, heal and restore. I wish I could claim I was overwhelmed with responses. My primary suggestion for donations is ‘Doctors without Borders. This organization now has two teams on the ground in Japan setting up medical treatment centers. While this is a well-known NGO, I am recommending them due to their level of accomplishment in Haiti saving lives. Additionally, when this organization raised enough funds for its Haiti response it stopped accepting donations. It is important to recognize that organizations have a logistical limit as to how much they can accomplish. By suspending fundraising this organization demonstrated a commitment to spend funds wisely and not just take the opportunity to raise unlimited cash as other large NGO’s did. With this in mind, a Pagan Community donation Page has been set up to enable donations to this organization. The Delaware Valley Pagan Network is also raising donations for disaster relief. I’ll be contributing what I can and hope you will too. If you know of other ways to show support and solidarity with the Japanese people and the peoples of the Pacific Rim as they respond to this disaster please let us know in the comments. the Unitarian Universalist Association has set up a fund that sounds very promising. A partnership of UUA, Buddhist, Shinto, and Japanese religious freedom organizations would seem to help avoid the allegations and scandals that some international aid organizations are encountering, and work towards immediate and locally directed assistance.